MINNEAPOLIS, August 26, 2016 – With three weeks still remaining until kickoff of the 2016 NFL season, Van Wagner Sports & Entertainment (VWSE) today announced a complete sellout of the Stadium Builder's Licenses (SBLs), luxury suites and club seats at U.S. Bank Stadium, the new home of the Minnesota Vikings. 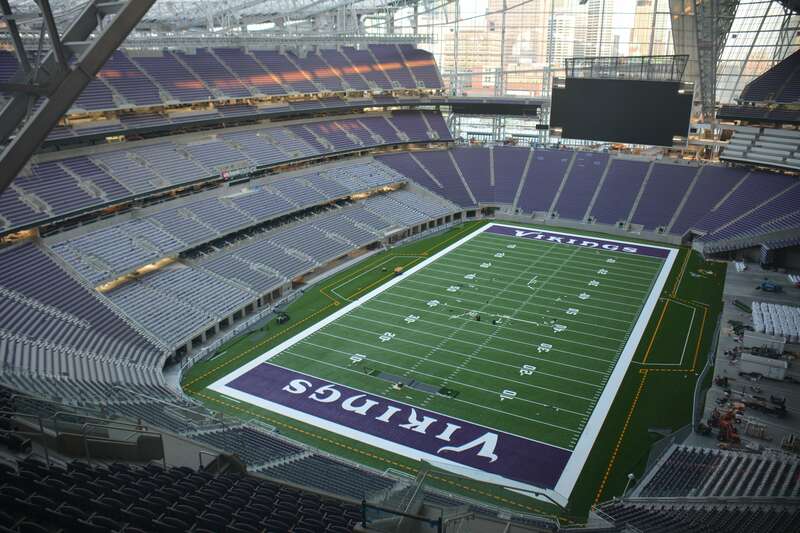 The Vikings open the $1.1 billion stadium on August 28 with a game against the San Diego Chargers. Working closely with the Vikings’ sales and marketing team, VWSE sold approximately 50,000 SBLs totaling $125 million. Each of the stadium's 131 luxury suites and all premium club seating is also announced as sold out. The SBLs are valid for 30 years. This represents the first time seat licenses have been sold in the Twin Cities. The Vikings hired VWSE's Team and Venue Services division, led by Senior Vice President Chris Allphin, in spring 2014 to assist in developing a strategic marketing and revenue plan as well as managing the premium ticketing and sales process for the new downtown Minneapolis stadium project. Behind some of the biggest deals in sports, VWSE, led by CEO Jeff Knapple, supported the team's stadium naming rights and founding partnership strategy as well as game day enhancement for Vikings fans. VWSE also served as a stadium technology consultant, and designed and operated the state-of-the-art, 7,500 square-feet Stadium Preview Center.